Actually, everyone in the world deserves to have a beloved one. Whispark do want every single member find their true love here. 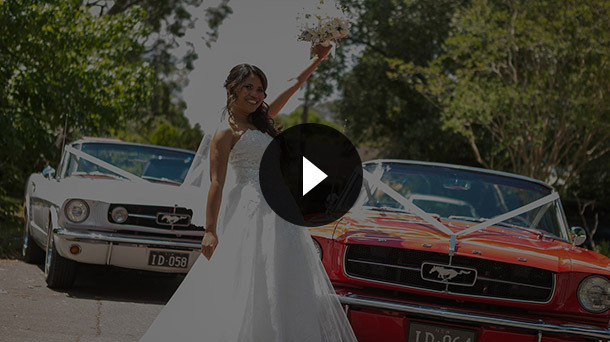 Have you found your Mr or Mrs Right? 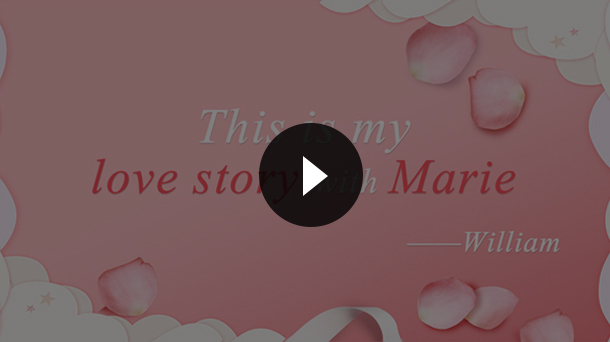 Whispark is willing to listen to your love story, come and share your romantic experience on Whispark!
" Really thankful for Whispark. I can't help falling in love with Su. Blessing. I find my true love here. In the future, giving her the greatest happiness is my responsibility. " We were married on June 30th, 2017. The strongest feelings of love, guarding the rings of a lifetime, and cutting cakes together are our best memories. I was a lonely man lived in Sydney. My friend Kate introduced me to Whispark website. I love to make friends. I like Whispark very much as there are many great girls there. But my favourite girl is Su from Thailand. An opportunity for a business trip to Thailand brought us closer. Su gave me many suggestions including food and shelter once she knew I was going to Thailand. When I had finished my work, I met Su and really like this as I was deeply attracted by her smile. A few days later my business trips ended, I was oblivious to Su, but I was afraid to be rejected. Luckily my friend Kate told me that Whispark is a great dating site. It is Whispark that helps she and her husband know each other and they live with great happiness now. She hope I seize the opportunity and don't miss it if I like the girl. Before I left Thailand, I invited Su to Sydney for a vacation and took out the tickets that I already bought for her. Su agreed immediately. I was very excited and we flew to my city, Sydney. We both decided the match between each other was suitable after a long time acquaintance. I show my marriage proposal to Su and she was excited and moved. Therefore we were married on June 30, 2017. Moreover, we spent on a honeymoon together after the wedding.
" I know I have been touched by love. The first time I saw you and felt the warmth from you. When the lonely feeling comes, it’s you help the hurt go away. I start dreaming my sweet dreams with you once I hear your laughter. Now comes true my dream. We are together now and will marry soon. Thanks so much Whispark. " Marie is a sunshine girl who loves to travel, and I am a boy who likes to ski and enjoy watching game. Although the interests are different, we still come together and live happily together. I entered Whispark website with a coincidence and started to contact many different types of girls but did not have a special feeling. Unintentionally I saw Marie and was attracted by this love laughing girl. So I began to chat with her from ignorance to understanding. She likes to travel. Her character is cheerful and I am comfortable with her. I invited her to Toronto after knowing that she had never seen snow.She was excited and agreed to come. I bought the ticket for her and told her what to wear. She was very satisfied by my warm reminder. We knew each other after meeting and we enjoyed an unforgettable Christmas day. I invited her to dinner with my friends in the coming of New Year. After the New Year, Marie was reluctantly sent away. After that, we kept in touch. She watched the game with me. I traveled with her and was willing to accompany her. We plan to get married in September this year. We are now processing all kinds of preparation. Bless us. Hopefully everyone on Wishpark can harvest your own love here.
" Kate and I started a new path on Whispark...Well I joined Whispark in search of a good woman. Within a few weeks of becoming a member, I met the love of my life. Finally I came to meet Kate in China from United States and we had a great time together. And we couldn't be more in love. So Kate made a decision to fly back with me to US. We are so happy we found each other and love each other. We are married now and have our baby. We both thank you for bring us together! " Kate graduated from college, and good at English. She Joined Whispark with the aim to make more new friends around world. And John with the same purpose. 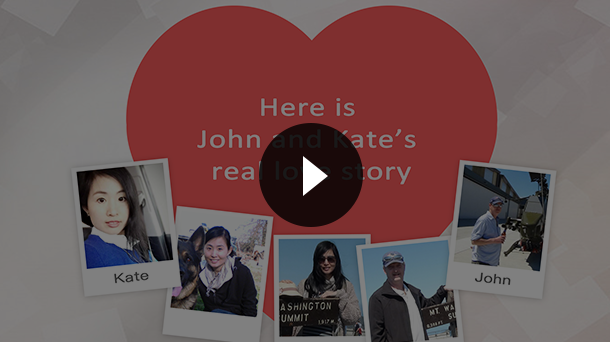 Kate and John started contact after only a month of signing up on Whispark. Soon they have a good feeling to each other. Kate expressed she'd never though she would meet someone so nice from internet dating, but it goes to show it really can work. They emailed for a few months before John decided to visit Kate in Guangzhou China. 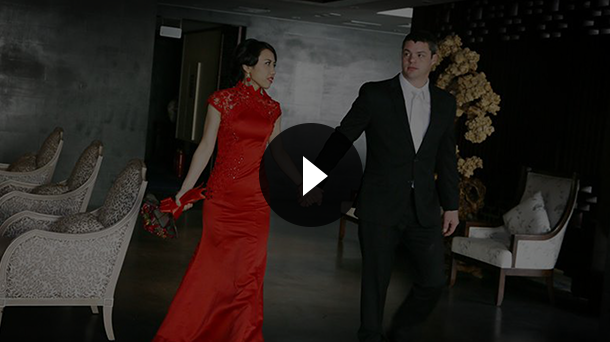 Kate showed John around some famous scenic spots in Guangzhou. Get along in a few days, Kate realize this man is the right one. As Christmas is coming, Kate made a decision to fly together back with John to US. When they arrived at United States, John introduced his family and friends to Kate. They've spent a romantic and unforgettable Christmas together. And Kate was deeply touched by John's life style and most importantly, the warm family atmosphere. John and Kate told us now they are happily married and have their lovely baby. Whispark are truly happy for them.
" Thanks you Whispark! I met a wonderful woman that wants to settle down and have a family together. Dreams really do exist. The best dollars I have ever spent. " Before yanyan joined Whispark, her life was quiet and simple. She has been single for quite a while as she was never a very socialable girl. Her quietness doesn't change her mind deep down, she still longs for love like all other girls. Introduced by friends, yanyan joined Whispark as a member. And here she met her Mr. Right, Justin. Yanyan and Justin got each other's attention. They started out with a simple interest turned into e-mails, chatting... And then smoothly it turned into a relationship. Amazingly they found they had everything in common: same hobbies, interests, and most importantly, their goals of life. After several weeks of frequent contact, They had decided to meet as soon as they could arrange. Justin flew miles to meet yanyan in China and made it a 10-day trip. Yanyan put a lot of efforts to plan for itinerary and managed all the hotel bookings in Hubei and Hunan for Justin. They spent so much quality time together for nice feasts, shopping fun and sightseeing around together. They did all what they like which they did not get the chance to do before. During the trip, yanyan also brought Justin back hometown to visit her parents. The trip was like never ever the best and enjoyable to them. In this trip, yanyan's caring and kindness made Justin realizes yanyan is the right one for him. To yanyan, she realized Justin was even better than she first thought in person. They were so bonded and fallen for love with each other. Finally they made a “crazy” but delighted decision, got married. They set the wedding day on March 20 2017. To show his respect and love, Justin suggested to hold the wedding in China. Whispark are happy for the couple. And we are more than proud that we have helped bringing two people together to love.
" Thank you Whispark. I went on your website just to meet some new people. I have made some amazing friends and have found my one and only Rose here. We exchanged emails, chatted and talked with each other, and just a few days we fell in love. It was a miracle. I have been searching for so long, finally I found the one I wanted to live with for the rest of my day. I thank God and Whispark. I hope my story will inspire others who are searching for their soulmate. Good luck to all genuine seekers in love. " 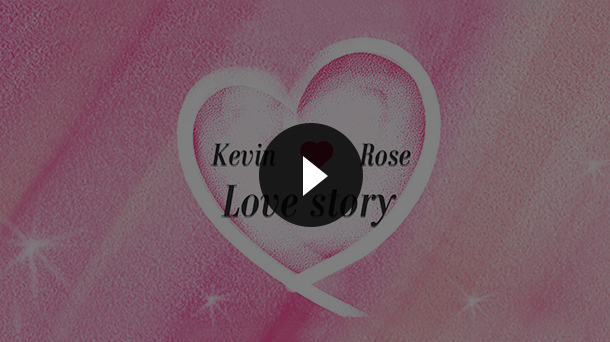 Kevin and Rose's love story started on Whispark. Kevin and Rose were both looking for something on Whispark. At the beginning, they did not realize what they wanted, until they started talking. Out of courtesy, Rose responded kevin's chat invitation. It was by this way that their connection bonded. As they told us, a funny thing is, they did not even like each other at first. They concluded it as fate. Started out chatting as friends, bit and bit, they fell for each other. They would even miss each other deeply when not in contact. Originally, Kevin proposed to come to China for a visit at the beginning of New Year. But as Rose have some personal issues to deal with, she regretted to decline the meeting. Rose promised she would have things settled soon, then confirmed a meeting time. Through the joint effort from both parties, they met in success on Valentine's Day. What a memorable day! Just a few conversations after the meeting, Kevin thought Rose was the most wonderful lady in the world. He decided her his soulmate! They spent a great time on travelling for a few days together. We knew finding each other was just a dream until it came true! We are more than happy that we have helped them find the right one! Copyright © 1998-2019, Whispark. All Rights Reserved. Best view with tried-and-true versions of Google Chrome, Firefox.